Never has clear, convincing communication been as important as in today’s information-cluttered environment. The Pyramid Principle (1978) explains in detail how written documents and presentations can be logically structured, and the methods described in the book are used by almost every major management consultancy on the planet. 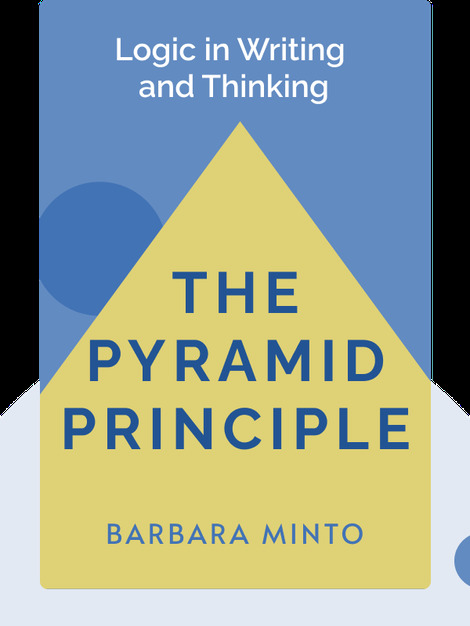 Barbara Minto is a former McKinsey & Co. consultant who now focuses on teaching the Pyramid Principle to some of the world’s largest corporations and government organizations. As a consultant at McKinsey & Co, Minto realized that while most people could get the language of written documents right, many struggled with the clarity of the actual thinking behind them. 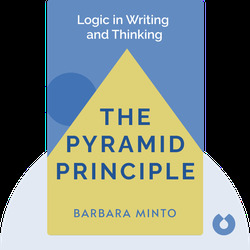 She developed the Pyramid Principle to teach the foundations required for clear writing.